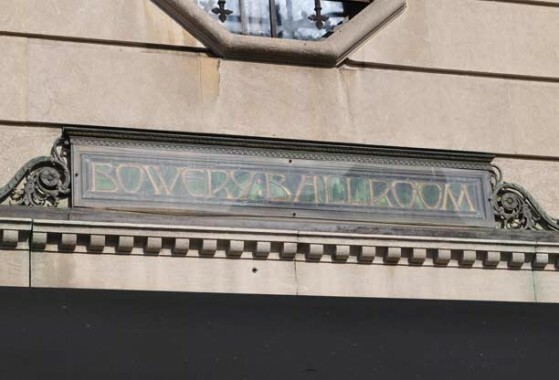 As a sign enthusiast, my eye always wandered to this building on Second Avenue near 116th Street in Spanish Harlem, Manhattan. 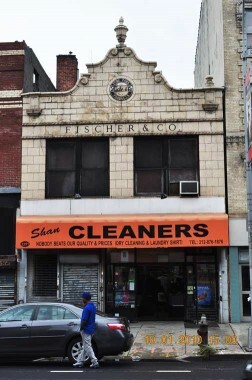 Fischer & Co., who sold pork products, felt it was worth it to spend probably a lot of money for this terra-cotta beauty. 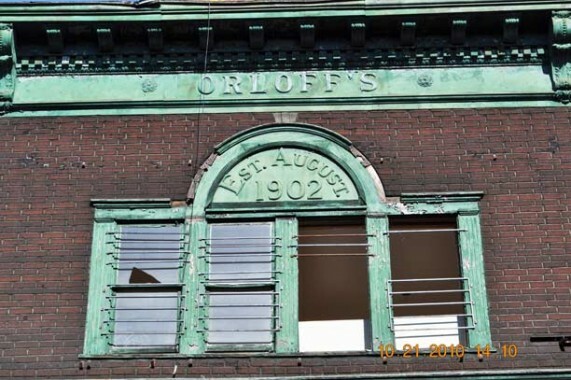 Riding past on the el, this ancient sign for Orloff’s, established, as it says, in August 1902 at 2211 86th Street in Bensonhurst, had always been always partially obscured. For the present, in 2011, it was in full view. Gravesend historian Joseph Ditta: According to an advertisement from the program for the Annual Fair of the Epworth League of the Cropsey Avenue Methodist Episcopal Church, August 19-21, 1909, Orloff’s sold dry goods, gents’ furnishings, and shoes. 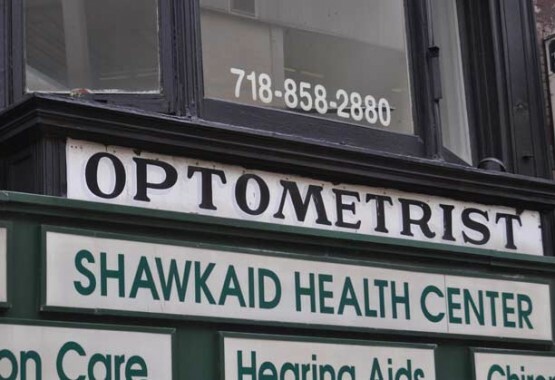 For some reason, this wooden optometrist sign endured until recently at this location on Livingston Street near Hoyt Street in Downtown Brooklyn, Brooklyn. Thank goodness I took this shot to record it. Guess what? It’s gone! 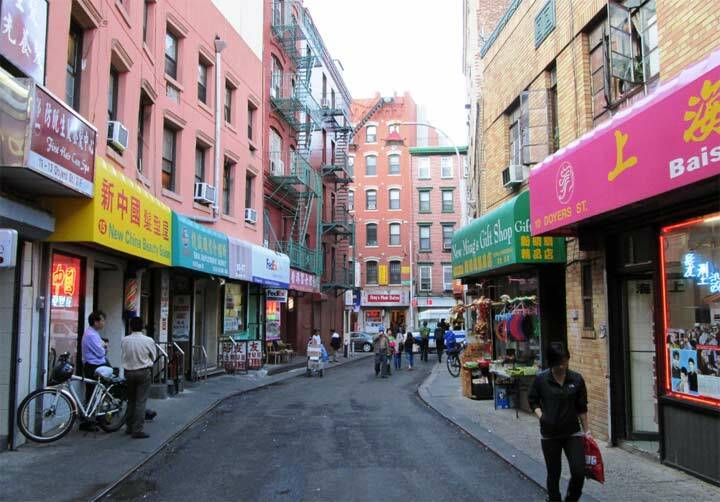 Chinese food is generally consumed these days in NYC via take-out. However, back in the day, Chinese food could only be eaten in a sit-down venue. This sign on Nostrand Avenue between President & Union Streets in Crown Heights, Brooklyn indicated that Chinese food could be gotten here. Directly across the street (Nostrand between President & Union) was the Normandy Bake Shop. Suprisingly, this sign is in pretty good condition and with a little tlc, could be reactivated fairly easily. If I had taken this photo in July instead of March, it would be impossible to see. This sign caught my eye as I traveled southbound on the Gowanus. Naturally, I made a mental note of its location and came back later to take this picture near 25th Street at Third Avenue in Sunset Park, Brooklyn. Moore McCormack Lines ceased to operate as a shipping company in 1982. Shell Road south of the Belt Parkway in Brighton Beach, Brooklyn was the home of the Brighton Laundry Company. 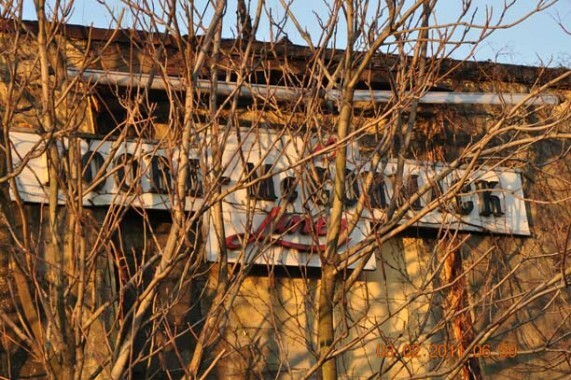 Does anyone know about the Old Dutch Brewery near Albany Avenue in Brooklyn? This pristine enamel sign can’t be seen by the general public. It’s inside an administrative building at the Westchester Yard, home of the IRT #6 train on Waters Place, The Bronx.. Could the be the former formal name of Pelham Parkway? 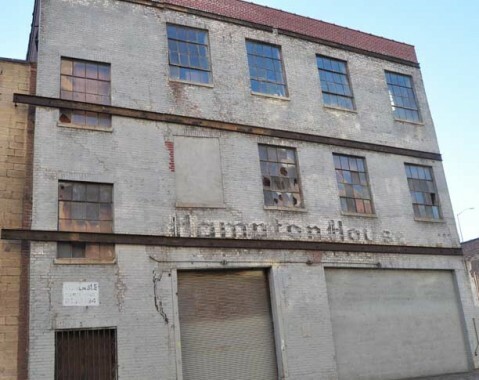 What was Hampton House about on East 140 Street in Port Morris, the Bronx? Do any of ForgottenFans know? 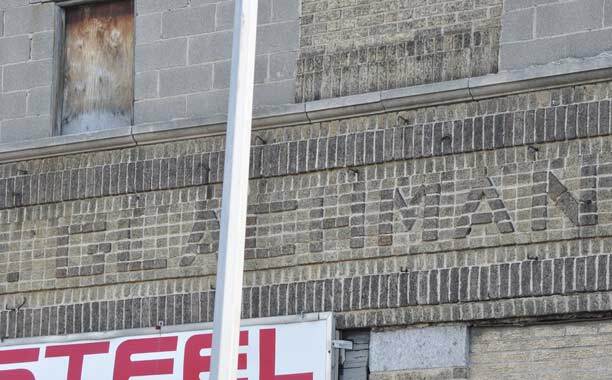 One of the most unusual signs ever chronicled in FNY, Equitable Steel (formerly Harris & Glachman) on Park Avenue near 174th Street in the Bronx host this sign with letters made of protruding bricks. Kinda different. Huh? 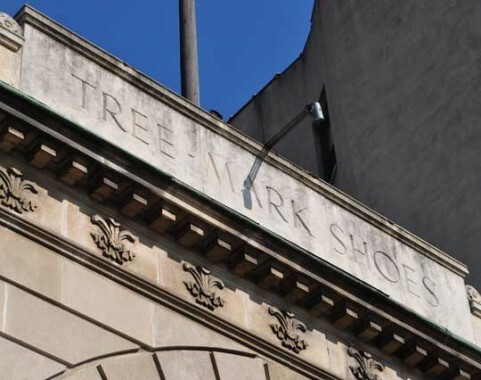 On the north side of Delancey Street between Chrystie Street & the Bowery is this building that housed the Bowery Ballroom and Treemark Shoes. Again here’s an instance where a FNY camera captured the image of something that was destroyed. 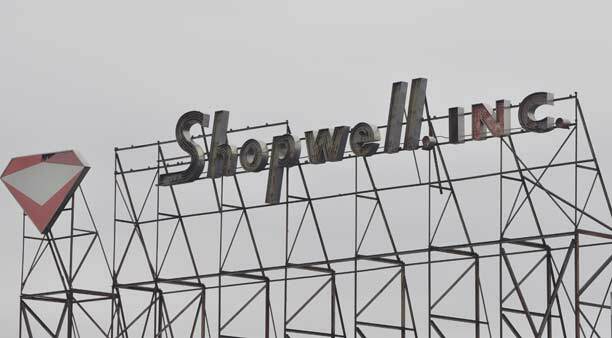 Daitch Shopwell was practically ubiquitous in NYC until the early 1970s or so. Again, I had to ask for permission to enter the property to get a good shot. I had to explaion to the security guard why I wanted to take this sign’s picture. 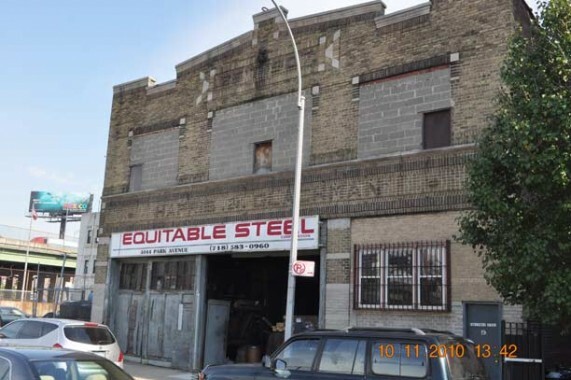 I entered the lot from Walnut Avenue & 141st Street in Port Morris, the Bronx. 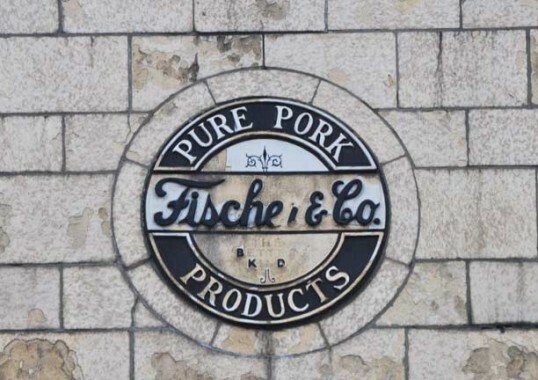 I wonder if the Fischer & Co. is related at all to Fischer meat packing, which still operates in Louisville, Kentucky? Just thought I’d point out the possibility. I think that Pelham Bay Parkway sign might be a sign from that station on the New York, Westchester & Boston Railway. 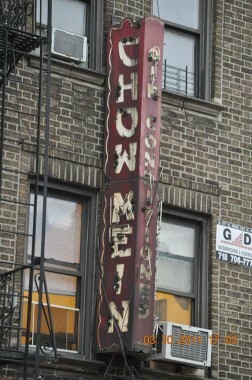 I saw this and the faded sign on a building at 117th St that would have only been visible from the 2nd Ave El. I spent 9 months as the Site Engineer building the Hunter college School of Social Work on 118th St and the Graduate Residence Hall on 117th St between 2nd and 3rd Aves. Lots of old signs and ads on buildings are only revealed when they are being demoished or renovated. Moore-McCormack Line has been gone for 30 years, but The DOT has kept at least 4 directional signs for “Moore-McCormack 23rd street pier” on the Gowanus expressway through endless cycles of road construction to this day. Had a Daitch Shopwell a few minutes from my (Rosedale Queens) home in North Woodmere Nassau County. We all pronounced it di-itch, but others pronounced it da-itch. 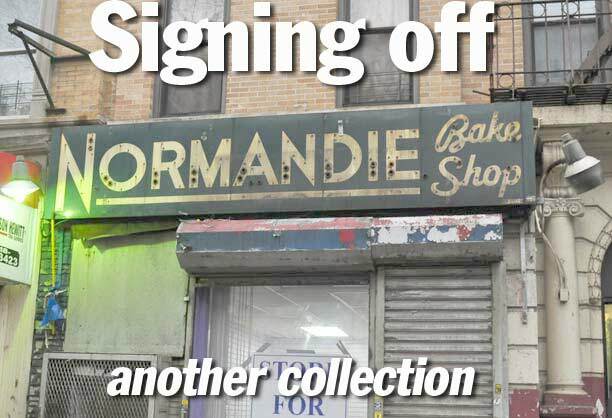 I believe I also remember another Normandie Bakery on Utica Avenue betwen President and Carroll Streets. It could be the same one that later moved. A&P had Ann Parker. Daitch’s lady was Sally Shopwell. A&P had BOTH Ann Page as well as JANE Parker. Great finds! There is a Hampton House furniture store in Montclair, NJ, which also has a great old neon sign – check it out on a google image search. Bravo! 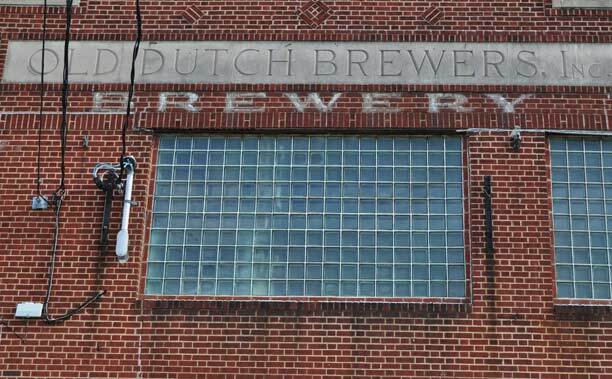 Re; The Old Dutch Brewery. This brewery was active from 1934 to 1948. 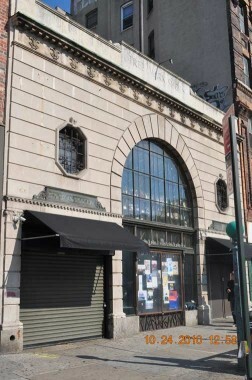 It was unusual in that it was the only brewery built in Brooklyn after prohibition, and was far removed geographically from Brooklyn’s traditional brewing areas in Bushwick and Ridgewood. It was also different in that it was a low-slung building as opposed to the tall fortress-like breweries that were built before prohibition. This was because “modern” brewing methods and machinery did not have to rely on gravity to move thier beer thru the brewing operation. My mother-in-law lived in that neighborhood as a newlywed in the 1940’s and has told me about going to Farragut Pool across the street with her husband, who would often would “disappear” for an hour or two “visiting” the brewery. There’s a great book from 1976 by Will Anderson called “The Breweries of Brooklyn” which offers histories of Brooklyn Breweies and “then and now(as of 1976)” pictures of many of them. My family’s piano usiness was on a building, a friend was riding the train in, I think somewhere around third ave and there it was on brick ESTEY either piano or organ, can anyone tell me where and take a photo? Would appreciate. 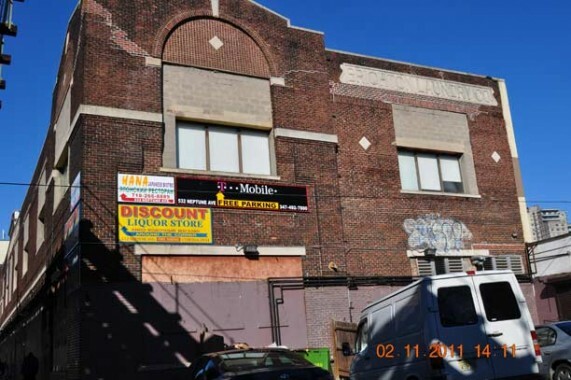 I believe the building you’re looking for is at Alexander Avenue & Bruckner Blvd., in Mott Haven, The Bronx. 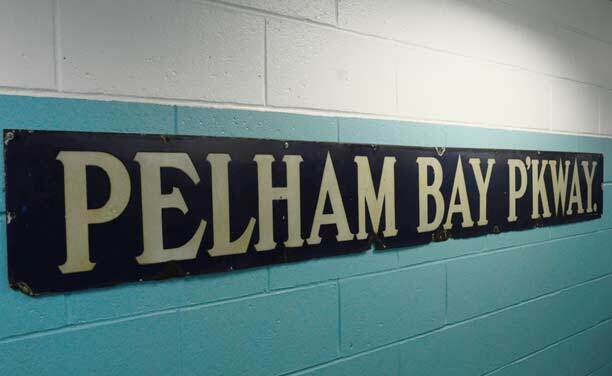 As for the Pelham Bay Parkway sign: considering the similarity to both station names and its eventual display location, is it possible that it was simply a mock-up or even a misprint and therefore ended up in the office instead of the station? 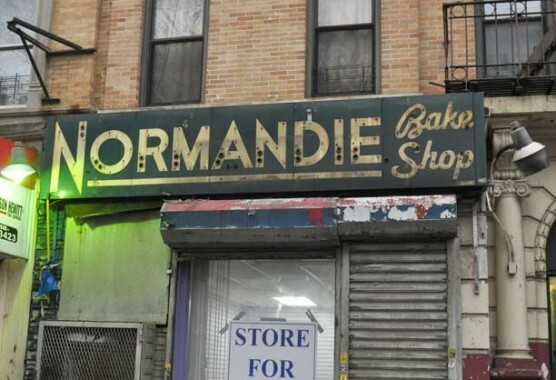 The Normandie Bakery was located on Utica Ave. between Montgomery St. and Crown St. in Bklyn. My grandmother often talked about a small woman’s clothes store on 174th Street called “The Famous Shop”. 1950s or so. The owner “Murray” and his wife were always there …. and In the old days, many of these small stores on 174th stated open until late at night (9:00 pm at least). Anyone have a photo or info?